Last week I told you I was working on some furniture for my brother. I finally finished painting the pieces and moved them over to his new place this weekend. 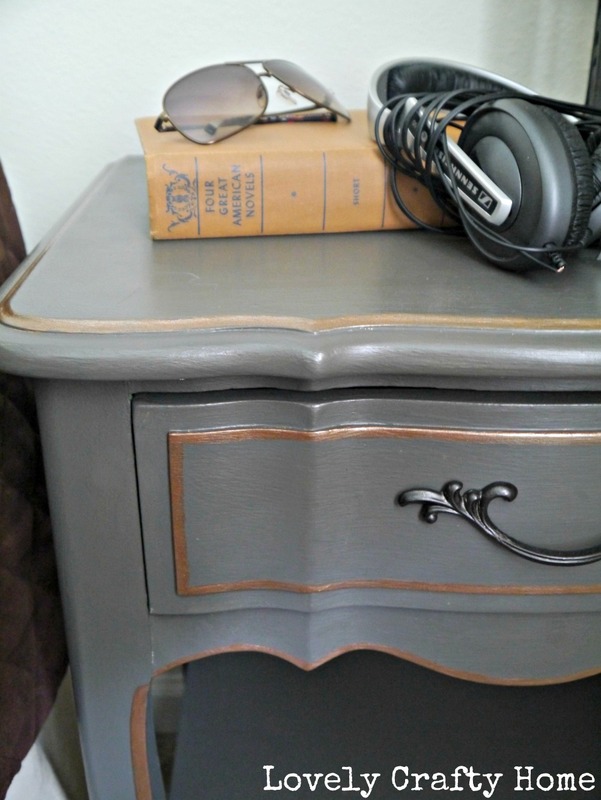 The nightstand came from the old guest room. And the dresser came from my room, but I’m no longer using it. I really love how it turned out though, classic and masculine despite the curves. 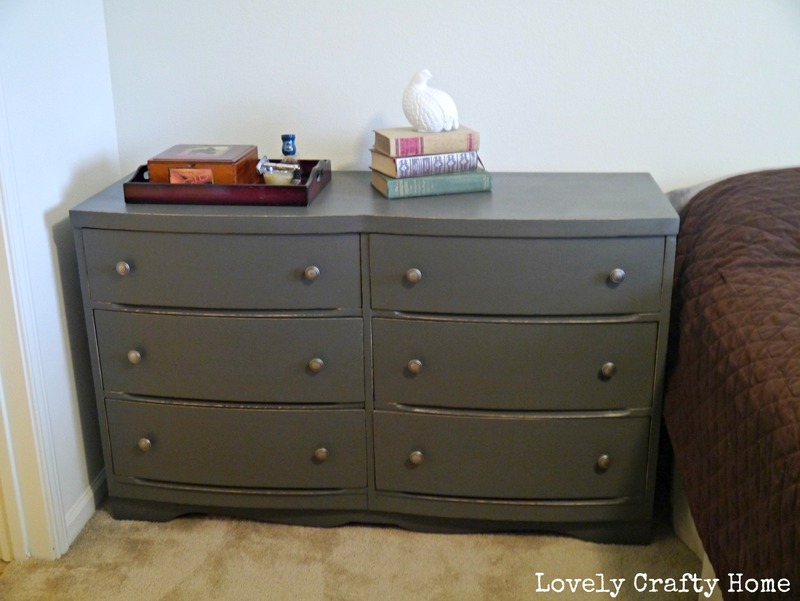 The dresser I kept simple: just paint and edge distressing. 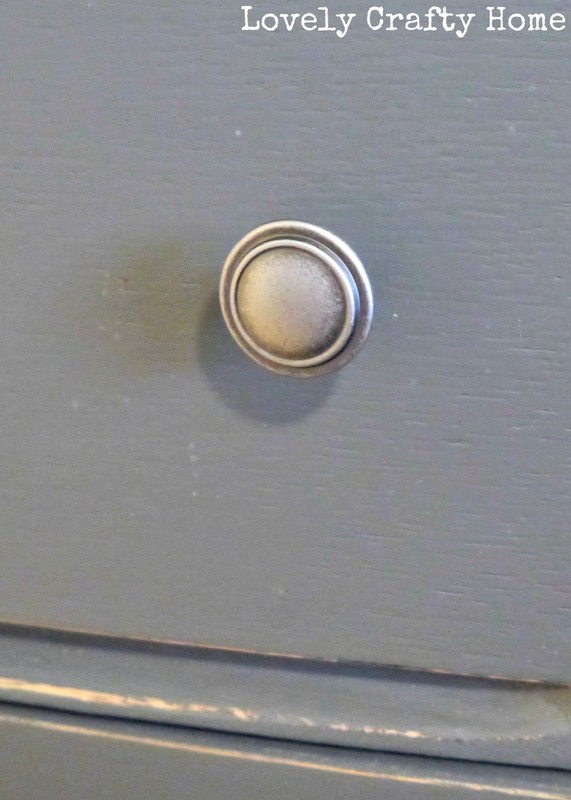 I added knobs (finally)- the same ones I used on the matching chest, which we still use in our room. Sorry for the bad staging/lighting! I didn’t have much to work with at my bro’s place. And just when I thought I was done, he announced that he wants a headboard! They look great! I’m a big fan of the metallic detail too! The furniture looks great! 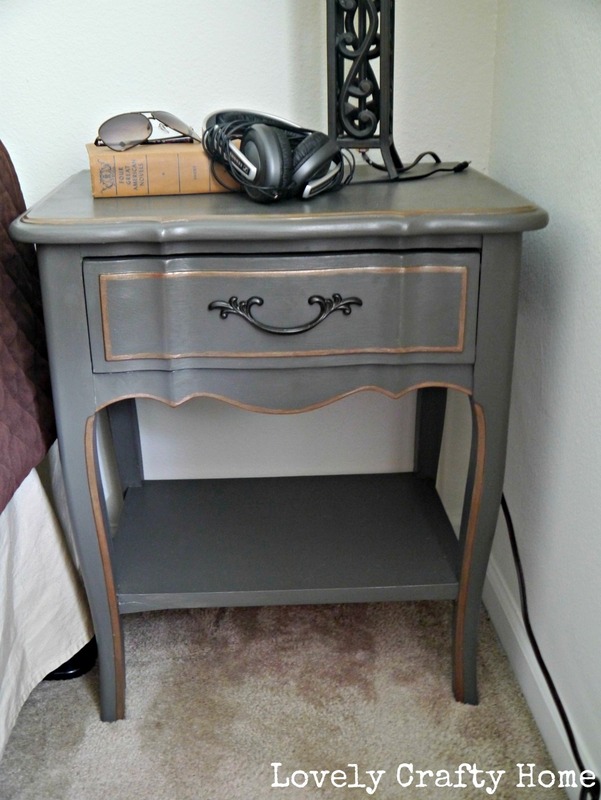 Love the nightstand…did you do that free hand without tape?? He sure needs something on the walls!